Photo courtesy of Dr. Paul Campbell. It's that time of year again, and I'm really looking forward to What’s Happening in Black British History? X, which will be at the University of Leicester on Thursday 2nd May 2019. It's a full day event- running from 11am- 6pm, followed by a Drinks Reception. We'll kick the day off with what is becoming a regular slot: New Books, where we'll get a glimpse of the latest publications in the field. This time we'll be hearing about: Black British History: New Perspectives from the Roman Times to the Present Day, edited by Hakim Adi; Kate Morrison's A Book of Secrets and Thinking Black: Britain, 1964-1985 by Rob Waters. Then we'll move on to hear about the exciting new Archeological Evidence of Africans in Britain. Naoise Mac Sweeney will take us From Carthage to Cornwall to learn about the Africans in Ancient Britain; Mathew Morris - the archeologist who found Richard III's body under a Leicester car park in 2013 - will discuss the evidence for Africans in Roman Leicester. Then Rebecca Redfern from the Museum of London will take us to Medieval London, before Jess Scorrer and Katie Faillace discuss the new findings of North African ancestry amongst the Skeletons of the Mary Rose. After lunch, we'll be exploring the Dual Heritage Experience in Britain, starting with Liam McCarthy on the American 'occupation' of Leicester in the Second World War; then Sue Bishop will talk about Black Caribbean and white British romantic relationships in postwar Leicester; Annabelle Gilmore will discuss Parallels of mixed-race identity in the eighteenth and twenty-first century and Paul Ian Campbell will address the topic through the prism of local football in Leicester c 1970-2010, with a focus on Cavaliers FC. Last, and certainly not least, we'll have our Keynote, delivered by Kennetta Hammond Perry, the Director, of the new Stephen Lawrence Research Centre at De Mortford University in Leicester, followed by Q&A and the usual final reflections session, where we will invite the audience to contribute their thoughts too. And the discussion and networking will continue informally at our Drinks Reception - always a highlight! Really hope you can join us for what looks to be a really thought provoking and stimulating day. You can find the booking form and full agenda here. Ever since I first became involved in the world of Black British History, I have, like everyone else in the field, been passionate about getting the subject taught in schools. Back in 2012, I spoke at the Department of Education about this, and the following year, when Michael Gove threatened to remove Olaudah Equiano and Mary Seacole from the curriculum, I wrote in The Times that we 'need to retell the story of our island, taking the new perspectives of Britons of all skin colours into account'. So I was absolutely thrilled last year, when a group of secondary school teachers responded to one of my tweets saying they'd like to work with me to figure out how to get the histories I'd written about in my book Black Tudors: The Untold Story into the classroom. Workshop in action: sharing great thoughts! Writing on big pieces of paper is always good! Since September, the teachers have continued to teach Black Tudors. Chris Lewis has written about how he does this at Brookfield Community School in Southampton in the December issue of Teaching History- one of the Historical Association's magazines (you can read his articles on his rationale here and the details of his lesson plans here). One of the great things about what Chris is doing is that he incorporates the stories of Africans in Tudor England into all his lessons on the Tudors, rather than "doing" them as a one-off. And of course, I particularly enjoyed the homework he set his students to write a letter to the BBC explaining why they should commission me to make a documentary about Black Tudors! ​One angle I didn't expect was that Black Tudors is being used in English lessons too- Wendy Lennon is giving her students at Brockington College, Leicester the short fictional paragraphs I wrote at the beginning of each chapter imagining a moment in each Black Tudor's life to read and then asking them to continue the story in their own words! The next step is sharing what we're doing with the wider teaching community, which we're doing at a series of conferences this spring and summer. Kerry Apps and Josh Garry spoke at a Historical Association Teaching the Tudors Day in York last month; Jason Todd and Chris Lewis are running a workshop on 'Bringing the Untold Stories of Black Tudors into the classroom' at the Historical Association Annual Conference in Chester on Saturday 18th May and I'm giving the keynote at the Schools History Project Summer Conference in Leeds on Saturday 6th July, followed by a workshop on 'Using Miranda Kaufmann’s Black Tudors to refresh the teaching of the Early Modern World' led by Jason Todd and Wendy Lennon. So, if you're keen to learn more, book your place at the Historical Association Annual Conference and/or the Schools History Project Summer Conference. Following the success of our previous events in London, Liverpool, Bristol, Preston and Huddersfield, we would like to invite you to the tenth of the Institute of Commonwealth Studies’ Black British History Workshops (WHBBHX) at the University of Leicester, on Thursday 2nd May 2019. The aim of the series is to foster a creative dialogue between researchers, educationalists (mainstream and supplementary), artists and writers, archivists and curators, and policy makers. It seeks to identify and promote innovative new research into the history of people of African origin or descent in the UK and facilitate discussion of the latest developments in the dissemination of Black British history in a wide variety of settings including the media, the classroom and lecture hall, and museums and galleries, thus providing an opportunity to share good practice. We welcome proposals for papers and presentations on a wide variety of themes relating to the history of people of African origin or descent in the UK. As we will be in Leicester local and regional or family histories from Leicester and the Midlands will be especially welcome. And, taking inspiration from Leicester archaeologists’ famous identification of the skeleton of Richard III, we would be particularly interested to hear from anyone using archaeology or anthropology to unearth medieval or earlier Black British History or to identify African skeletons. We would be delighted to hear from researchers, educationalists, archivists and curators or others interested in offering a presentation, lasting for 15-20 minutes. Please submit a title and a brief description of your presentation either in writing (in which case, of no more than 300 words) or in some other form (for example a clip or podcast) to Dr. Miranda Kaufmann at miranda.kaufmann@sas.ac.uk by 15th March 2019. In addition, we would be happy to consider proposals for a complete panel. The panel should have a coherent unifying theme, and the proposal should include the abstracts of three related presentations and the names and affiliations of the presenters. We would also be very interested in providing A-level students, undergraduates or graduate students with an opportunity to give presentations on projects relating to Black British History. The day will run from 11am to 6.00pm, followed by a Reception. There will be a registration fee of £24 (£12 for students/unwaged) which includes lunch and refreshments. Registration is open now, here. 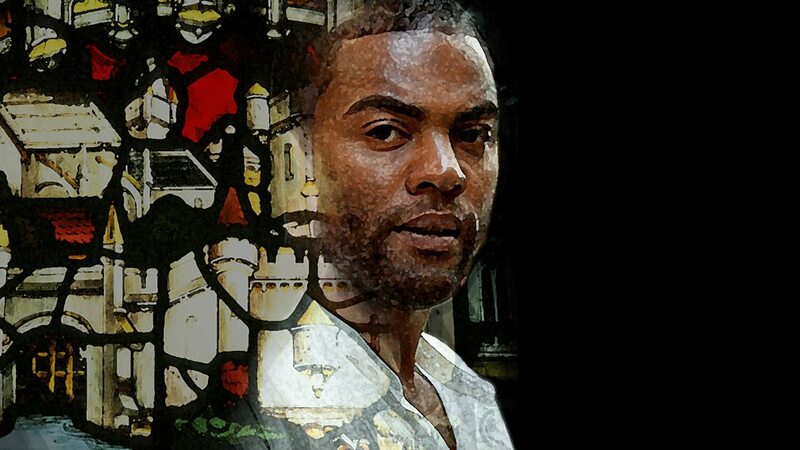 The Moors of England by Rex Obano: Black Tudors Drama on BBC Radio 3! So, back in early November, a play by Rex Obano, called The Moors of England, was broadcast on BBC Radio 3. I was honoured when Rex asked me to introduce the play and when you listen (below), you'll hear my 60 second intro at the start. We also persuaded the director that it would be good to record a discussion between us exploring the wider context of the play, as much of this history is new to audiences. 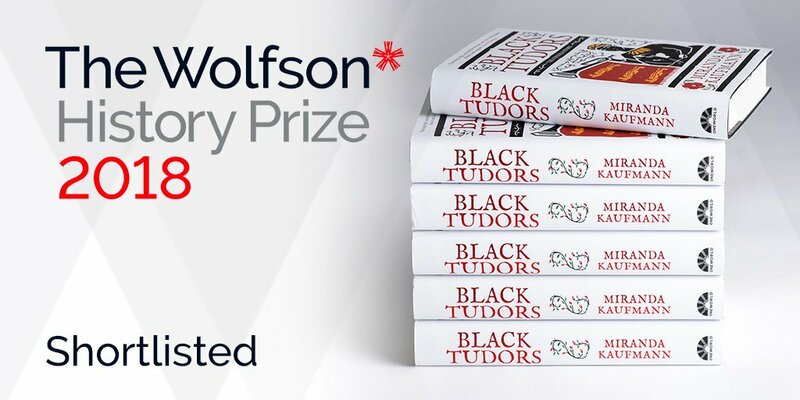 You can listen to our 20 minute discussion on BBC Sounds here, and read more about the Black Tudors in my book. And, Rex and I are continuing to work together to dramatise the lives of the Black Tudors. He has been selected, alongside Catherine Johnson, to work with Silverprint Pictures on developing my book into a TV Drama series - very exciting! I'll be meeting up with them in the New Year to talk about potential storylines- watch this space for more news on that front! NEW for WHBBH9 is our New Publications session where authors of recently published books get ten minutes each to tell us about them- a quick and easy way to make sure you're up with the latest cutting edge research and writing. Then on to Dramatising Black British History, which actually could have been called 'Dramatising Black Tudor History', because all three writers have tackled 16th century stories: those of Catalina, the Moorish maid to Katherine of Aragon; John Blanke the Tudor court trumpeter, and Fortunatus, servant to Sir Robert Cecil. So you can guess why I'm particularly keen to hear from these writers! These three plays, by Hassan Abdulrazzak, Ade Solanke and Rex Obano respectively, have been performed at Ovalhouse and Colchester Arts Centre, at Hampton Court Palace and on Radio 3 ('The Moors of England' is due to be broadcast on Sunday 4th November at 19.30). It will be fascinating to hear what inspired them to tell these stories, the challenges of working with fragmentary historical sources, and how their work has been received. We couldn't let 2018 pass without contemplating Windrush: 70 years on. This session will be chaired by historian and activist Patrick Vernon, who has campaigned for full government recognition of the contribution of the Windrush Generation, and of migrants more broadly. We will hear from Wendy Webster how many of the so-called 'Windrush Generation' were actually returning to Britain, having played a significant role in the Second World War; Peggy Warren and Joan Welsh will explore the testimonies of Black British Women about their struggles within the NHS; and Beverley Cooper-Chambers will share her analysis of how Caribbean families are (mis)represented on television. Bringing us right up to date, Clare Anyiam-Osigwe will be talking about the insights she gained through interviews for her short documentary, Windrush Stories. Our third panel will explore the experiences of those giving Guided Tours of Black British History. Janet Couloute, an art historian and gallery guide at Tate Britain, was standing near an artwork by Lubaina Himid one day when someone asked her "Are you part of the exhibit?" Because of course a woman of colour standing in the middle of an art gallery is much more likely to be a work of art than an authority figure! Her presentation will explore the challenge of contesting such assumptions in the art world, and will be complemented by the perspectives of Lisa Williams, who has recently started conducting Black History Tours in Edinburgh, and Tony Warner, of the hugely successful London-based Black History Walks. To mix up the traditional final thoughts panel, we will be seeking thoughts and comments from the audience, so be ready! The day will end with a Drinks Reception, where we will launch Kwaku's new book: Disrupting African British Histories? I very much hope to see you there. For the full agenda and booking details go to the ICWS event page, or to book straight away click here. I've got a new book deal! I'm delighted to announce that Oneworld Publications, who did such a fantastic job with Black Tudors, will be publishing my next book, working title: Heiresses: The Caribbean Marriage Trade. In Heiresses, I will tell the controversial and fascinating stories of the women whose vast inherited fortunes – colonial wealth, generated by the labour of enslaved people in the Caribbean – were imported by marriage into British society. Their inheritances not only enabled them to marry into the top tiers of the aristocracy, but also attracted impoverished naval officers, soldiers, writers and, on occasion, unscrupulous fortune-hunters. The book will explore the source of their wealth, what happened to the women after they married and how the tainted money was spent on everything from country houses and paintings to foreign travel and paying off gambling debts. I've been intrigued by the subject even since I encountered Elizabeth Vassall, the larger-than-life heiress to three Jamaican sugar plantations, who married Sir Godfrey Webster of Battle Abbey while I was researching English Heritage properties' links to slavery and abolition back in 2006. As I told The Bookseller: "It’s fantastic to be given the opportunity to investigate these fascinating women, and expose how their slave-produced wealth came to all corners of Britain, under cover of matrimony. I’ve already found stories of arranged marriages, elopements, great love affairs, adultery, divorce, compulsive gambling, outrageously opulent entertaining, political intrigue, bankruptcy, insanity and suicide. I’m delighted to be working with the outstanding, supportive team at Oneworld again, and looking forward to sharing what I find with the world." My editor at Oneworld, Sam Carter added: "We are thrilled to be publishing the brilliant and committed Miranda Kaufmann again, and in these stories of real-life Mrs Rochesters she’s found her perfect subject." If you think the book sounds interesting, you may also be interested in the Colonial Countryside project I'm working on with the National Trust, Peepal Tree Press and Corinne Fowler at the University of Leicester, using both children and adult's creative writing to explore ten National Trust properties' links with Caribbean slavery and the East India Company. What's Happening in Black British History? IX Call for Papers, deadline 7th September 2018. Following the success of our previous events in London, Liverpool, Bristol, Preston and Huddersfield, we would like to invite you to the ninth of the Institute of Commonwealth Studies’ What's Happening in Black British History Workshops (WHBBH9) at Senate House, London, on Thursday 8th November. We welcome proposals for papers and presentations on a wide variety of themes relating to the history of people of African origin or descent in the UK. As this year is the 70th anniversary of the arrival of the Windrush we are particularly keen to receive papers on the Windrush Generation and their impact on Britain. We would be delighted to hear from researchers, educationalists, archivists and curators or others interested in offering a presentation, lasting for 15-20 minutes. Please submit a title and a brief description of your presentation either in writing (in which case, of no more than 300 words) or in some other form (for example a clip or podcast) to Dr. Miranda Kaufmann by 7th September 2018. In addition, we would be happy to consider proposals for a complete panel. The panel should have a coherent unifying theme, and the proposal should include the abstracts of three related presentations and the names and affiliations of the presenters. We would also be interested in providing A-level students, undergraduates or graduate students with an opportunity to give presentations on projects relating to Black British History. The day will run from 11am to 6.00pm, followed by a Reception. There will be a registration fee of £20 (£10 for students/unwaged) to cover the costs of lunch and refreshments. Requests to register should be sent to olga.jimenez@sas.ac.uk. What's Happening in Black British History VIII? Call for Papers, deadline 16th March 2018. 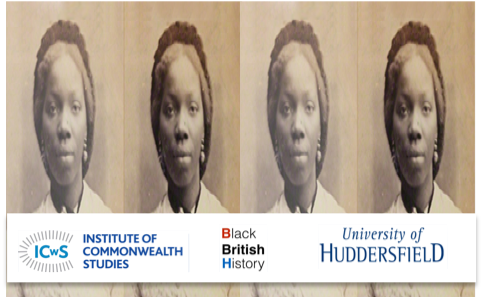 Following the success of our previous events in London, Liverpool, Bristol and Preston we would like to invite you to the eighth of the Institute of Commonwealth Studies’ Black British History Workshops (WHBBH8) at the University of Huddersfield, on Thursday 10th May 2018.The aim of the series is to foster a creative dialogue between researchers, educationalists (mainstream and supplementary), artists and writers, archivists and curators, and policy makers. It seeks to identify and promote innovative new research into the history of people of African origin or descent in the UK and facilitate discussion of the latest developments in the dissemination of Black British history in a wide variety of settings including the media, the classroom and lecture hall, and museums and galleries, thus providing an opportunity to share good practice. We welcome proposals for papers and presentations on a wide variety of themes relating to the history of people of African origin or descent in the UK. As this is the 70th anniversary of the arrival of the Windrush we are particularly keen to receive papers on the Windrush Generation and their impact on Britain. As we will be in Huddersfield local and regional or family histories from Huddersfield and the North of England would also be welcome. We would be delighted to hear from researchers, educationalists, archivists and curators or others interested in offering a presentation, lasting for 15-20 minutes. Please submit a title and a brief description of your presentation either in writing (in which case, of no more than 300 words) or in some other form (for example a clip or podcast) to Dr. Miranda Kaufmann at miranda.kaufmann@sas.ac.uk by 16th March 2018. The day will run from 11am to 6.00pm, followed by a Reception. There will be a registration fee of £20 (£10 for students/unwaged) to cover the costs of lunch and refreshments. A limited number of travel bursaries will be available to independent speakers on application. Requests to register should be sent to olga.jimenez@sas.ac.uk.